With our two extremely flexible and easy to assemble aluminium safety fence systems (series 30 and 40) we design and build, in the shortest possible time, a cost-efficient solution that meets your specific requirements (and of course, also those of the European Machinery Directive). 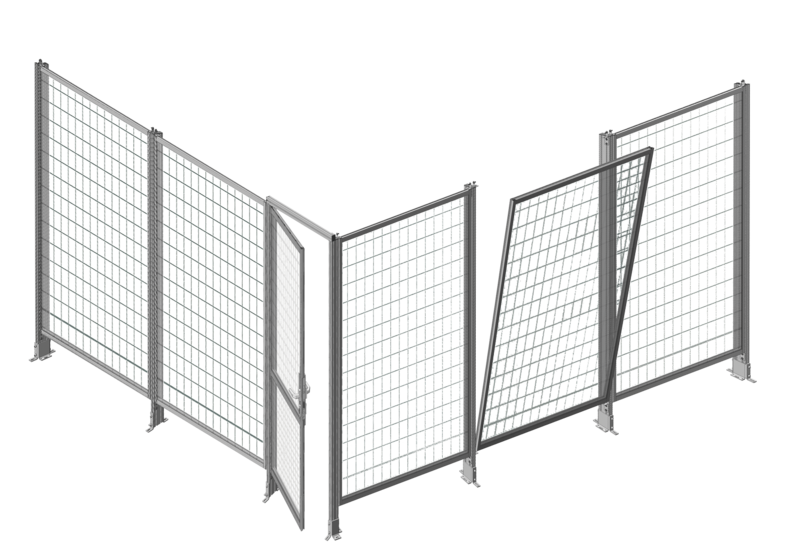 Thanks to our modular system with its wide range of fill elements, doors, gates and locking systems, our safety fences can be adapted, visually and from a safety point of view, to your site – and extended as and when needed. Load test: The pendulum test (test weight: 80 kg, impact speed: 10 km/h, fill material: wave grid, polycarbonate) was passed successfully. The newly developed safety fence foot made of galvanised steel facilitates neat installation even with very uneven ground.